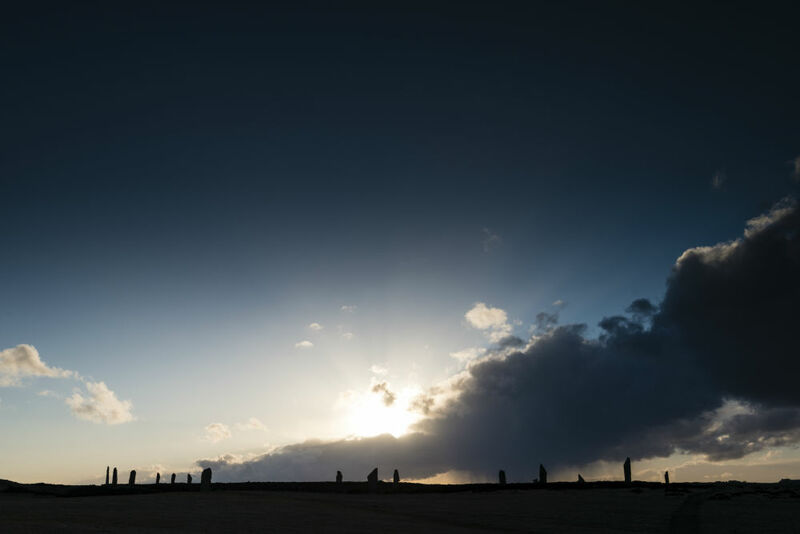 The spellbinding stone circle - the Ring of Brodgar - is arguably the most iconic symbol of Orkney's prehistoric past. It is a site of ritual and ceremony, and hauntingly beautiful. The Ring of Brodgar is an archaeological treasure and without doubt one of the islands' most visited attractions. 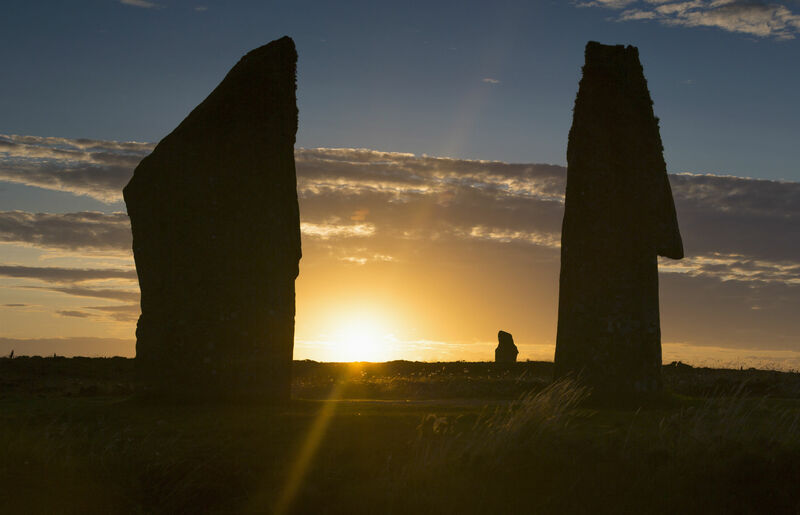 It can be found in a magical landscape that is the Heart of Neolithic Orkney UNESCO World Heritage Site and is one of the most photographed attractions in Orkney - particularly at sunset. The ring was built around 2500-2000BC and covering an area of almost 8,500 square metres it is the third largest stone circle in the British Isles - just pipped by Avebury and Stanton Drew. Sitting within a natural amphitheatre of hills and surrounded by a ditch, 27 of the original 60 stones survive today and the guided tour of the site by Historic Scotland is highly recommended to discover the secrets of the ring. According to legend, it was a religious shrine and possibly a place of ritual, while others believe the ring was built for the astronomical observation of the equinox and solstice. The truth is, we don't know for sure which only adds to the mystique. Nearby, the solitary Comet Stone keeps a watchful eye, while just one mile from the site the Standing Stones of Stenness cast their spell. Four giant megaliths, at a towering six metres, date back to 3100BC making it one of the oldest stones circles in Britain. Close by, the Barnhouse settlement reveals an excavated group of house dwellings dating from 3300-2600BC. 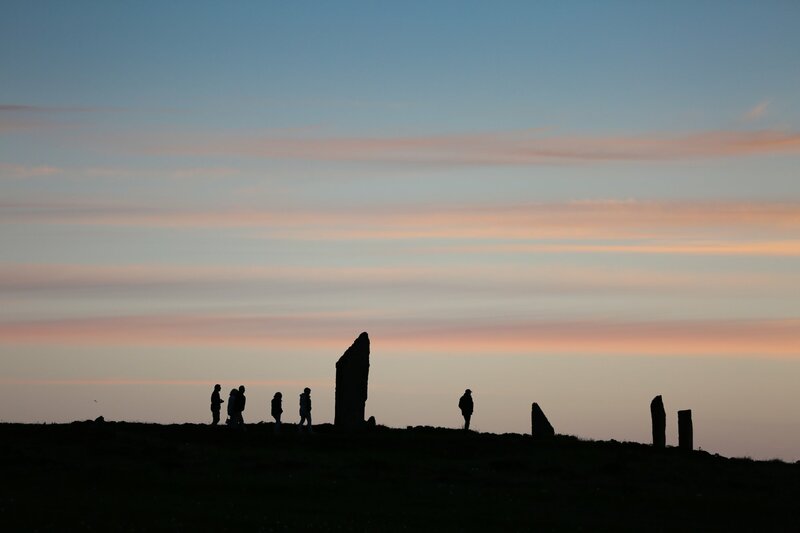 You can enjoy a free guided walk of the Ring of Brodgar with Orkney's Ranger Service every Thursday afternoon at 1pm. Meet at the Ring of Brodgar car-park.